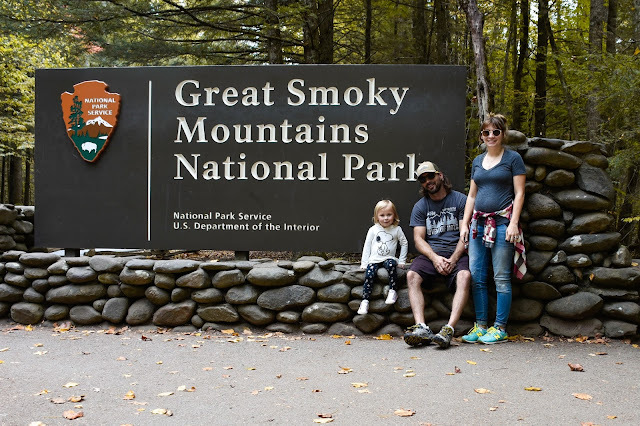 We made it home from our week-long trip to Eastern Tennessee and the Smoky Mountains. Adelaide is basically a pro at this point and we couldn't be more proud of what a great trooper she is on these trips, or happier with how much fun she seems to have! Amazingly I have sorted through all of the video clips and condensed them down into less than 30 minutes. I am currently waiting for it to upload to YouTube, so it should be up by Saturday. You probably think that's a joke. "Two days from now? Hahahaha!" Oh, how I wish it were. Remember the pregnancy vlog I did? Yeah, it took about 36 hours to upload. Please oh please fiber optic line people, get a move on! At this point it's at 6% and it's been going for at least an hour and half... it's almost 30 minutes long... can anybody do that math? Assuming it keeps up its current pace, which I'm not banking on... I hope Jordan doesn't come home needed to use the internet with any efficiency. He won't be happy with his experience! While the video is basically ready to go, I haven't even begun sorting through the photos.... One thing a time, that's what I keep telling myself. Point is, I do have stuff coming your way, and wait until you see the gorgeous foliage we found! I'm going to get it up ASAP, so check back!